New research is another example of how high-tech tools are transforming archaeology. 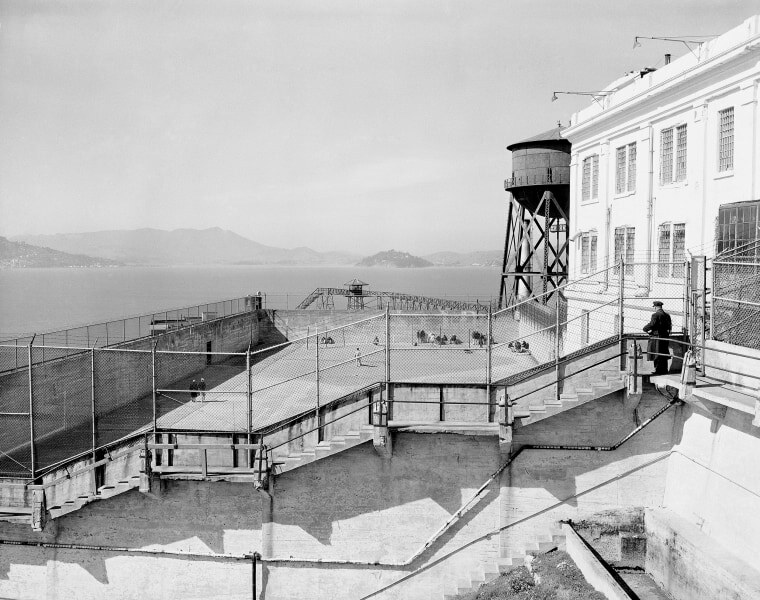 Alcatraz may be best known as the prison that held notorious criminals such as Al Capone and George Kelly Barnes (Machine Gun Kelly) in the early years of the last century, but new research reveals that the prison was built on the site of a military installation dating back to the mid-1800s. A team of scientists found remarkably well-preserved earthwork and brick fortifications buried just inches below the recreation yard of the defunct Alcatraz Federal Penitentiary, which is located on Alcatraz Island in the San Francisco Bay. The 19th-century fortification was mostly destroyed when construction began on the prison in the early 1900s, but the researchers found several structures that survived relatively intact, including a "bombproof" passageway and ventilation ducts. The surprising discovery is only one example of the way technology is changing archaeological fieldwork. Archaeologists who once relied mostly on shovels and pickaxes are now using aerial drones to map previously inaccessible areas; laser scanners that can create highly detailed 3D models of ruins; virtual and augmented reality software to reconstruct ancient cities; and, in the case of the Alcatraz discovery, ground-penetrating radar that can show what lies beneath without the need to even break ground. “It’s almost like an echo,” Mark Everett, a geophysicist at Texas A&M University and co-author of a paper about the Alcatraz research, said of the telltale signal obtained by ground-penetrating radar. Ground-penetrating radar can be used to probe depths of about 16 feet — and experts say the technology saves time and effort. For her own research, Richards-Rissetto uses lidar (short for “light detection and ranging”), a radar-like technology that uses laser pulses to measure distances between objects, and photogrammetry, which can turn a collection of photographs into three-dimensional models. She and her colleagues are creating a catalog of architecture, ceramics, plants and other features of Copán, an ancient Maya city located in Honduras. Want more stories about technology? This Russian startup wants to put huge ads in space. Not everyone is on board with the idea. Denise Chow is a reporter and editor at NBC News MACH.